Life can be stressful and move way too fast at times. Sleep can be elusive. It's hard to turn off your thoughts at night when you have ideas for new blog posts swirling around in your head, baby chicks hatching, or you are trying to juggle, work, home, family and animals. 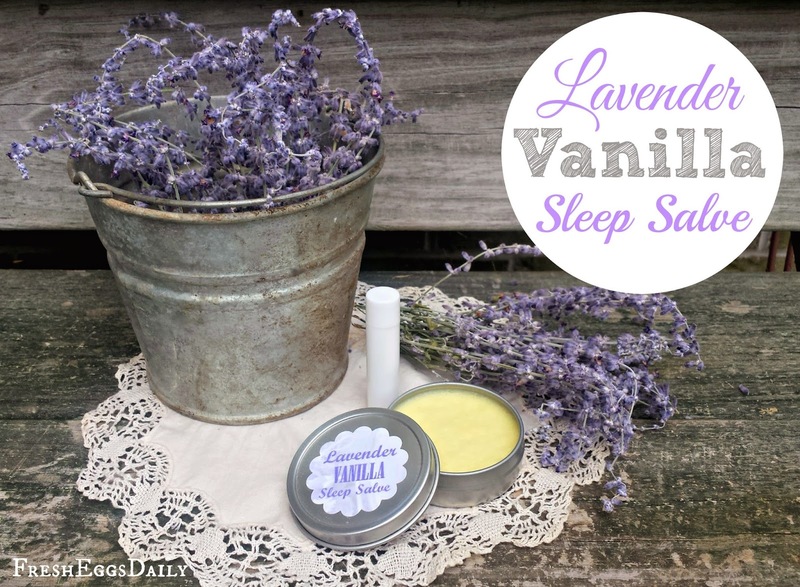 Enter my Lavender Vanilla Sleep Salve to help calm your thoughts and allow you to drift of into a peaceful sleep. 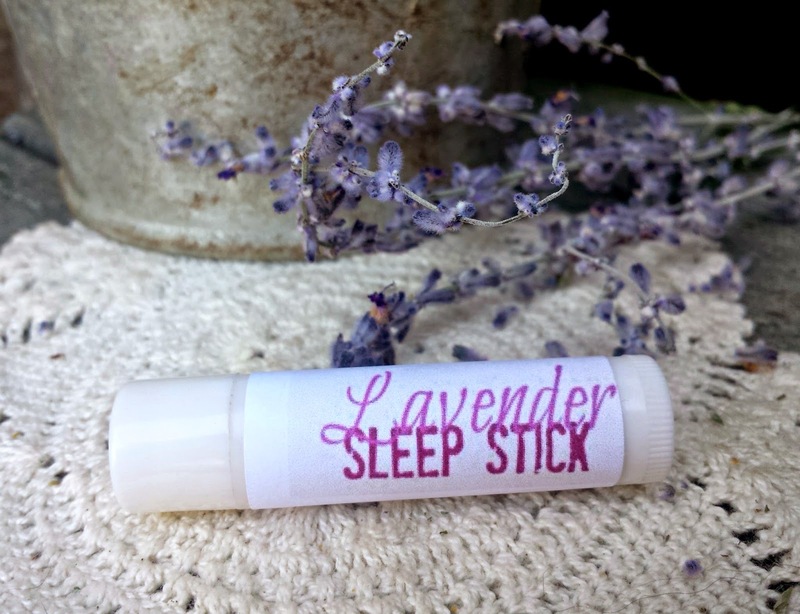 This easy-to-make, all-natural sleep salve is designed to be dabbed on your pulse points - temple, behind your ears, wrists, elbows, etc. - to release calming essential oils as you fall sleep and your body warms under the covers. 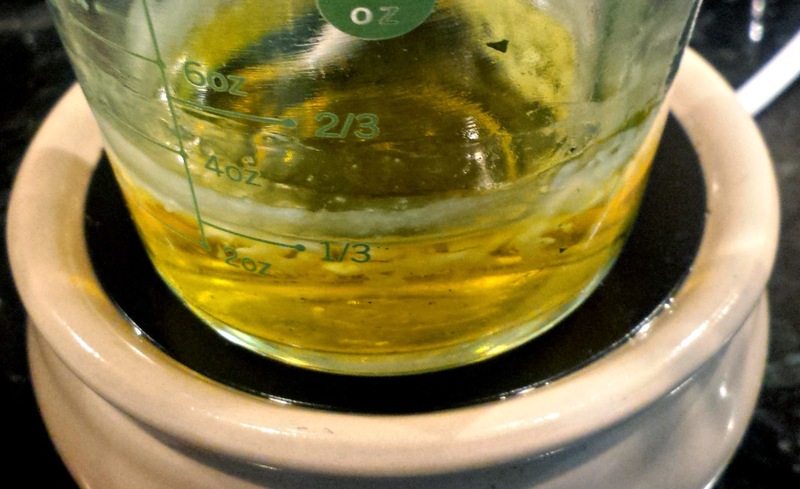 I make it in small metal containers as well as in lip balm tubes (which I find easier to dab). You can do either with this same recipe. 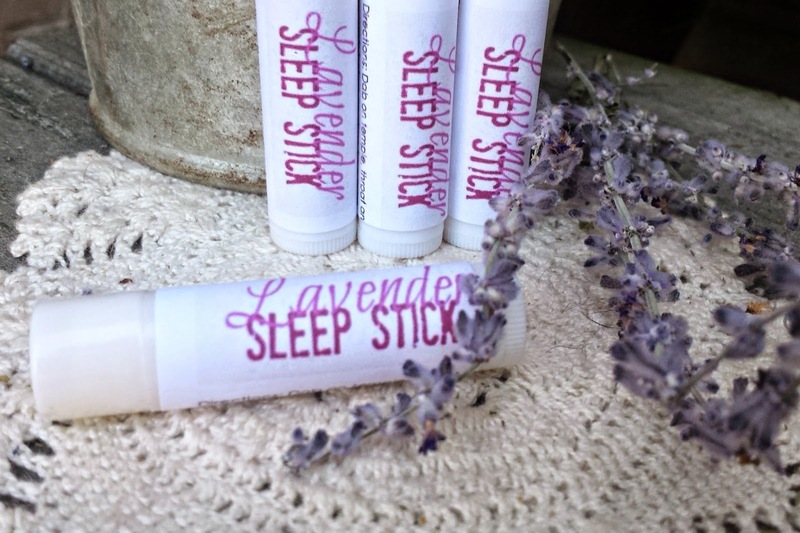 Lavender is used in all kinds of sleep and relaxation products. It has natural calming properties and helps promote restful sleep. Vanilla is naturally soothing. This blend provides stress & anxiety relieving, sleep enhancing, anti-depressant, comforting and calming properties. Melt almond oil and beeswax slowly (over a double boiler or on a candle warmer), stirring occasionally with a wooden chopstick or skewer. 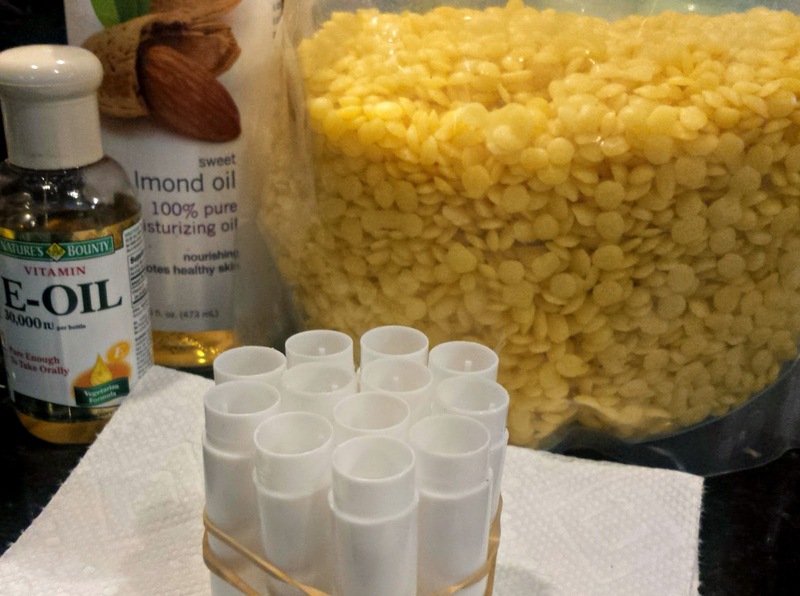 When the beeswax is completely melted, add the Vitamin E and essential oils, stir, and immediately pour carefully into your tins or tubes. 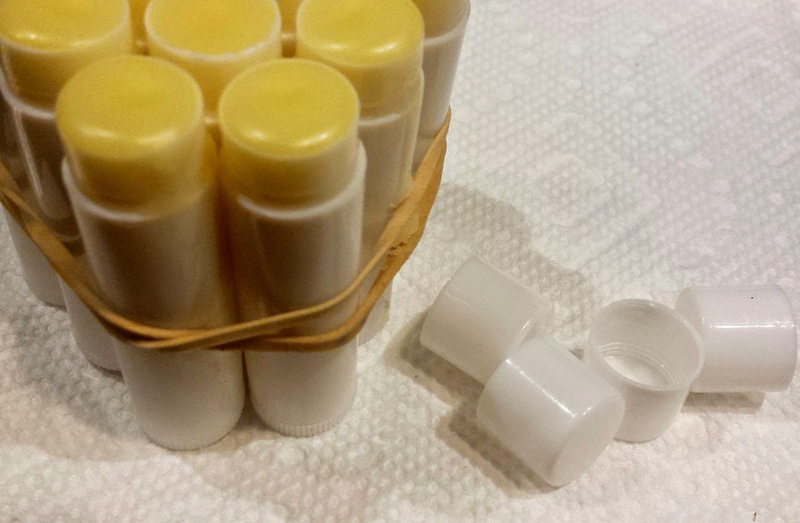 Leave to cool completely for several hours, then cover/cap and label (makes about a dozen tubes). Dab the salve on your pulse points prior to bedtime as desired for a more restful, calming sleep. 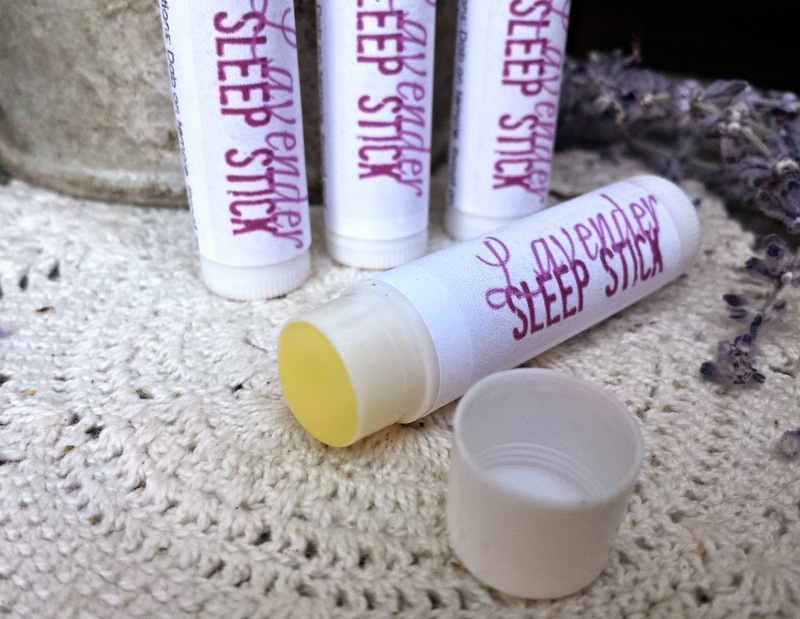 If you would like to purchase the Sleep Sticks instead, pleases come visit me on Etsy. I sell single sticks and also sets of three in my shop Fresh Eggs Daily. Mountain Rose Herbs is also a wonderful resource for essential oils and containers. I think I'm 15% more relaxed just from reading this post and imagining how good this smells! Pinning and stumbling this post to help others find it. I adore lavender! I recently came back with some lavender oils from Croatia and sprinkle it on our pillows at night, and I always feel cozier going to bed after using some Aveeno Lavender body lotion. I love that you make your own salve! Thanks for sharing! I'm pretty sure I have all of these ingredients already. I've pinned it so I'll remember - I'm thinking this would be great for Christmas gifts!